Alicante isn't Spain's largest or most famous wine region. In fact, Alicante is fairly small, and it tends to be overshadowed by its better-known neighbors, Jumilla and Valencia. Alicante has much to offer the wine lover, however, particularly Fondillón, made from monastrell grapes and unique to this DO. 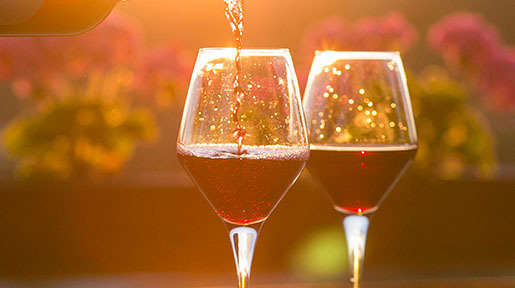 Alicante's other wines, particularly its reds, have steadily worked their way up into the ranks of Spain's top-scorers, and the region's award-winning moscatels are also worth trying. Like many other Spanish regions, Alicante's winemaking history stretches back over many centuries. Several of Alicante's towns began as ancient Greek colonies, while others were founded by the Romans and the Moors. By the 15th century, Alicante's wines were famous throughout Europe. Many wine historians attribute this fame to Fondillón, although most writers of the period referred to wines from this region as "Alicant" rather than "Fondillón." Alexandre Dumas' famous character Edmond Dantès, from The Count of Monte Cristo, drank wine from Alicante, and France's King Louis XIV is said to have refused all wines except those from Alicante when he was on his deathbed. The port city of Alicante is a major wine export center, just as it was during the Renaissance and Baroque periods. During the 19th and most of the 20th century, Alicante winemakers focused their efforts on producing bulk and table wines, but the arrival of modern winemaking techniques and equipment has brought positive change to this DO. Today, many Alicante winemakers are upgrading their equipment and capitalizing on the region's unique terroirs. Wineries such as Bodegas Enrique Mendoza and Bodegas Gutiérrez de la Vega are creating wines that attract attention from wine critics around the world. Alicante winemakers have also rediscovered Fondillón and are working to bring this unusual wine back onto the international wine scene. Although it is usually marketed as a dessert wine, Fondillón cannot be easily described or classified. Some versions are dry, while others are sweeter, depending on the grapes used. Fondillón is made from extra-ripe monastrell grapes that are allowed to remain on the vine longer than usual. The grapes are pressed, fermented with their skins for a short time, then aged for at least eight years in oak. Many Fondillóns are aged in soleras, using production methods similar to those used to make sherry. The result is a dark red or amber-colored wine with a high alcohol content, either dry or somewhat sweet. For many years it was thought that the techniques for making quality Fondillón had been lost to history. Fortunately, in the 1940's one Alicante winemaker, Salvador Poveda Luz, decided to re-establish Fondillón. He rounded up a small number of old casks of Fondillón and experimented until he developed the proper production techniques. Today, Fondillón is one of only five wines recognized by the European Union as unique "luxury" wines. The Alicante DO has two distinct sub-regions, each with its own climate. La Marina, to the north, occupies a coastal point that stretches from the ancient Greek colony of Denia south to Calpe and inland to a few miles west of Parcent. This sub-region has a milder Mediterranean climate, thanks to the influence of the sea. Rain in La Marina, which is rare, can be very heavy. Winters in La Marina are mild, but summers are quite hot. The second sub-region of Alicante, Clásico, lies inland and to the southwest of La Marina. Clásico encompasses the city of Alicante, but much of the vineyard land lies farther west in the foothills. The Clásico sub-region includes the towns of Villena, Petrer, Monóvar, Pinoso, La Romano, L'Alguenya and Culebrón. Here the climate is continental rather than Mediterranean. Rainfall is rare and summers are very hot. Alicante's soils are mainly limestone, with little organic matter. Near the coast you can find some alluvial material, including a small amount of clay. Red, white, rosado and moscatel wines are all produced in Alicante, so the DO permits planting of many grape varieties. The top white grape varieties are moscatel de alejandría, merseguera, macabeo, planta fina and airén. Foreign varieties, such as chardonnay, are becoming more popular. Monastrell grapes do very well in Alicante, not only in Fondillón but also in still wines, and this variety is the most widely-planted red wine grape. Several other red grape varieties are planted here, including garnacha tinta, garnacha tintorera and tempranillo. While Alicante wines are climbing the wine rating "charts," wine tourism isn't as developed here as in other Spanish wine regions. You won't find a wine route in Alicante, for example. Some wineries do offer tours and tastings, but you won't find contact information or even a Web site for every Alicante winery online. You can, however, look up winery contact information in a Spanish wine guide, such as the Peñín Guide to Spanish Wine. It's always best to call ahead if you'd like to visit a particular winery, especially if you plan to visit during the harvest. Salvador Poveda offers wine tastings and sales at its uniquely modern facility in Monóvar. You can also visit the winery's museum, which features a collection of Fondillón casks. Bodegas Sierra Salinas, owned by the Castaño family (which also owns Bodegas Castaño in Yecla) and the Swiss Niehus family, opened in 2003 and is already producing high-scoring wines, particularly its Salinas 1237 '04 and '05. The winery offers group tours and wine tasting courses. Like its neighbor, Yecla, Alicante has made a big investment in its winemaking future. Alicante winemakers are creating exciting new wines as well as promoting their traditional specialties, Fondillón and moscatel wines. I'm looking forward to seeing more Alicante wines in my local wine shop as their reputation continues to grow.